As this is my first article be easy on me if it aint worded well or set out well. 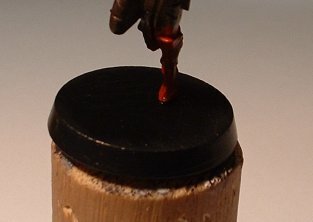 A few people have commented on how good the base on my Death Cult Assassin mini looks and I thought Id show you.Theres nothing special or technical really and I found it real easy to do.So here goes. 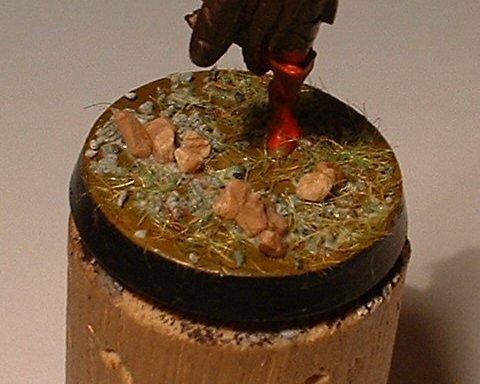 This is the mini and base in question. The effect I was looking for was the Assassin stood in shallow flowing water. 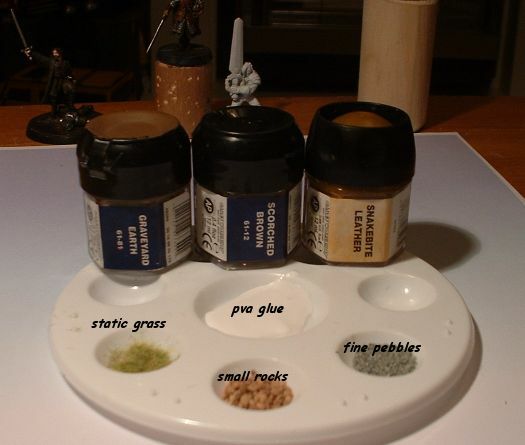 The next pic shows the supplies I used.You can put anything on the base you like eg. skulls,branches gold coins.The rocks and pebbles I used are railroad scenics,just use something that looks somewhere near the correct scale.My grey pebbles should really be tan shades btw. 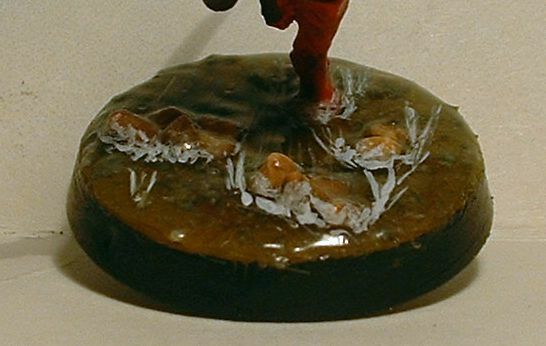 2.Paint the top of the base snakebite leather or any other colour if you like.Place a thin layer of pva over the base then arrange the rocks,pebbles and foliage (flatten the foliage).Leave this to dry for 1 hour (ish). 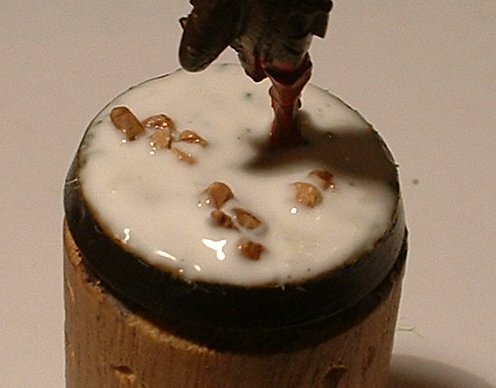 3.Apply pva to the base but not overtop of the rocks as you want these to stick out of the water. 4.Leave to dry completely until it looks like this. 5.Apply another layer of pva and let it dry completely,,this is the final layer. 6.Once this is dry and totally clear its ready to paint on the water swirls.These were done with grey and white and should be around everything that sticks out of the water.The faster you want the flow to look the longer the lines from behind the objects should be.Also apply spots on the front of the objects to represent surf hitting the front.